Day three dawned accompanied by rain, with the spectacular views of yesterday evening enveloped in mist. Luckily, this unpromising start parted company with the rain just as we were leaving, and the mist lifted about 25 minutes into our walk, to reveal impressive views down from the moorland heights we were striding along. 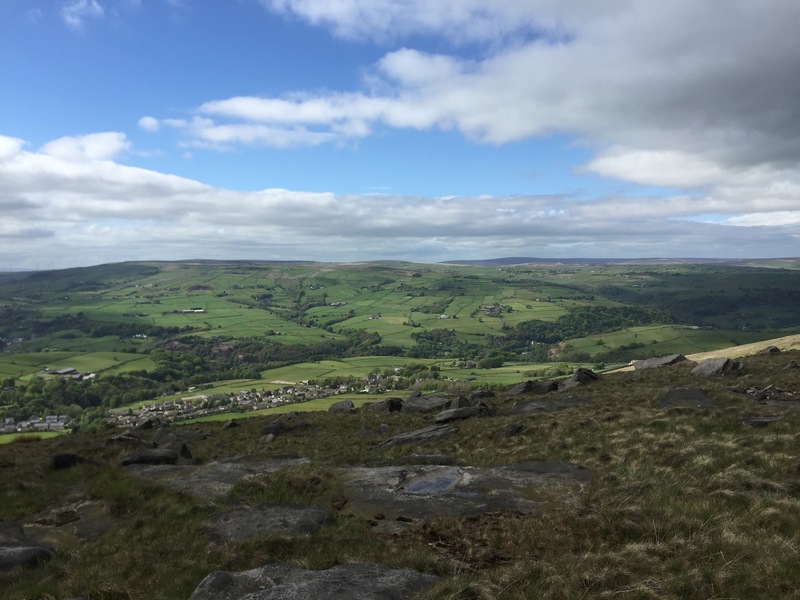 The landscape changed significantly today, with wild moors and some road crossings (including the M62, which my 19 year old self hitched along along once heading from Hull University in an – ultimately successful – attempt to get to Dublin) featuring heavily in the morning. 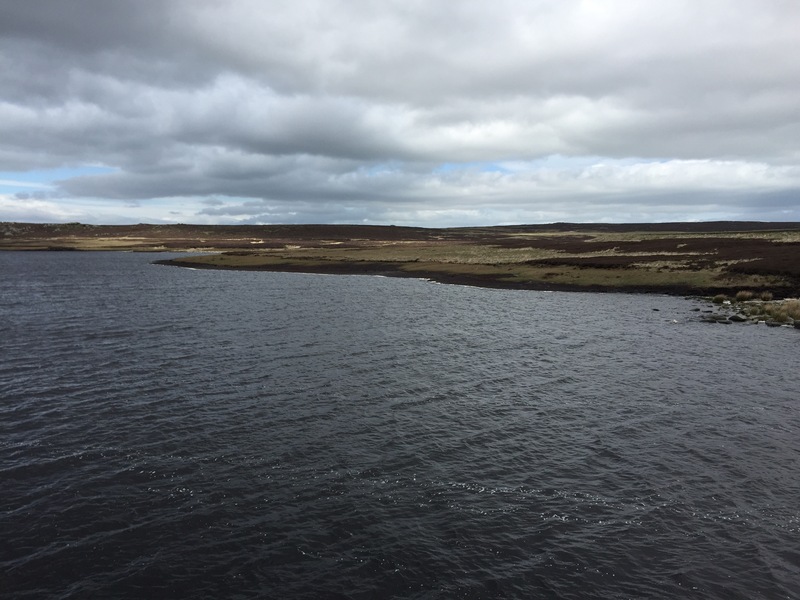 Post a light lunch at The White House off the A58, we hit ‘Reservoir Bogs’ country, which has both reservoirs and bogs, but luckily the latter have been tamed with the judicious use of stone slabs – hurrah for dry feet! Finally, the approach to Stoodley Pike, a pointed monument above the Calder Valley, saw the moors give way to lower altitude rolling fields, their vivid greens a sign of the amount of rain this area must get, and then a flower-filled canal side potter into the attractive town of Hebden Bridge. 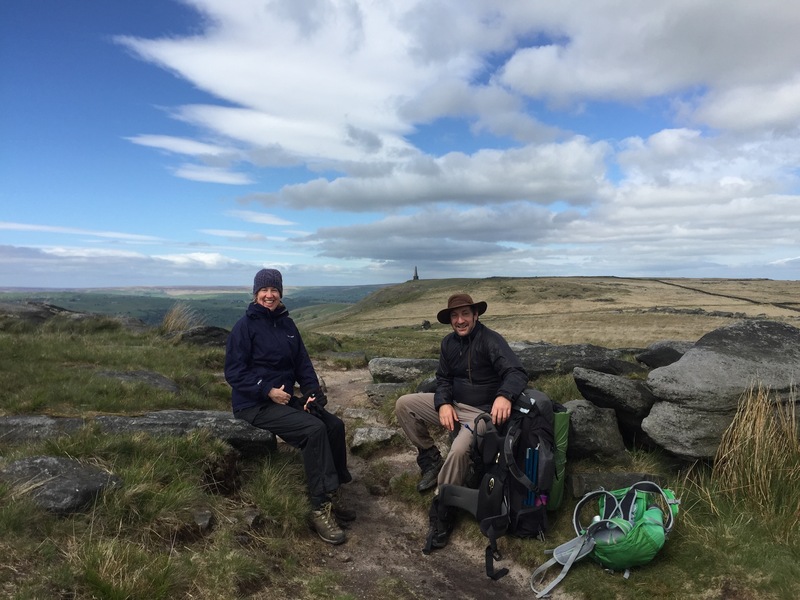 An easy day of walking through more beautiful northern landscapes, boosted by the occasional sugar rush of chocolate chip cookies and the good humoured company of Annette and Pilgrim Chris. 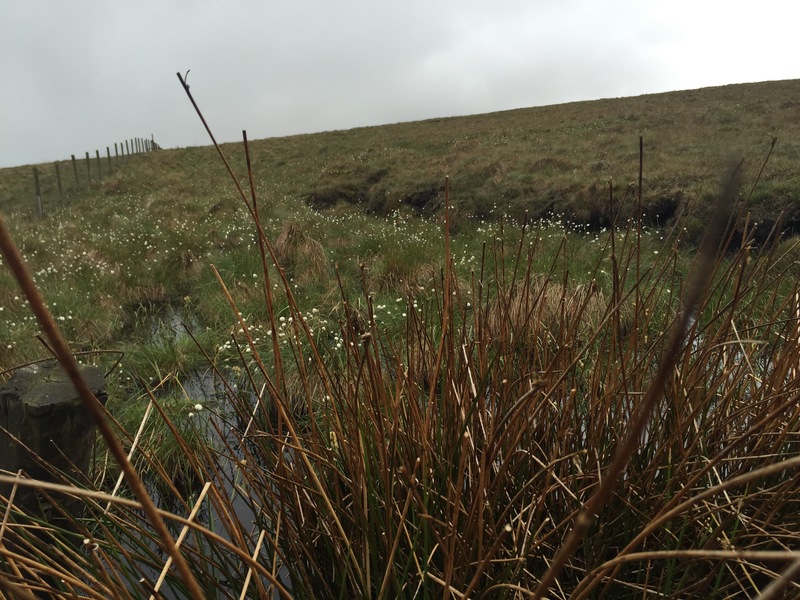 Photos: Cotton grass / the murky peat infused waters of Warland Reservoir / Annette and Chris, with Stoodley Pike in the background / rolling countryside near Mankinholes. Enjoying following your progress along the way. It’s been a while since I walked it, but it still holds special memories. So much so I now live in Calderdale. Good luck with the walk and hope the weather gives you some sunny days through the Dales. You’ve chosen a lovely place to live! I’m really grateful that they have laid the slabs down on the tricky bits: makes life so much easier for me than it would have been for you! Thanks for reading my blog. Really enjoying the blog so far! I’m setting out to start on Thursday so I don’t think we’ll cross paths but if somehow we do I’ll be sure to say Hi!